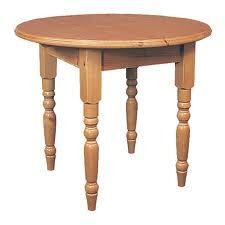 Now and then a parishioner will ask me some question regarding the faith. 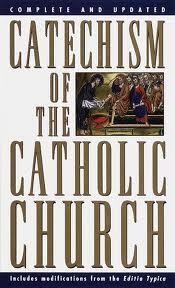 Sometimes, I just answer them, but often I will refer them to the Catechism of the Catholic Church(CCC). What is a catechism? The online etymological dictionary tells us that it means “instruction in Christian principles,” from Latin, catechismus “book of instruction,” and from Greek, katekhizein, “to teach orally”. Some of us old-timers remember the Baltimore Catechism, which was a simplified question-and-answer form. Throughout the centuries, many catechisms have been written. Major catechisms were written for the clergy, theologians and Church leaders, as an aid to their work, and the minor catechisms were written for the lay faithful. In our modern age, a new catechism was commissioned by Pope John Paul II in 1986. 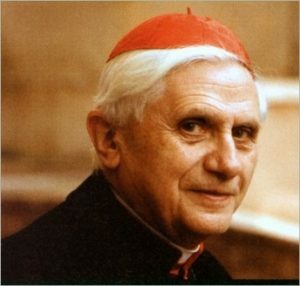 Cardinal Joseph Ratzinger (now Pope Benedict XVI) chaired that commission, and completed the work in 1992. This is a comprehensive work, a universal Catechism, which is envisioned as a “reference text” for use by bishops, priests, catechists, and the lay faithful. It is a great treasure for the Church today. Pope John Paul II considered the Catechism to flow from the work of the Second Vatican Council, whose overarching goal was to make the faith more accessible to modern man. He was convinced that, without proper tools, such as an up-to-date Catechism, it is not easy to teach our faith. Creed/Nicene Creed as a synthesis of Catholic teaching. Part II: How we Celebrate – studies the sacramental and liturgical life of the Church. Part IV: How we Pray – examines the “perfect prayer” given us by Jesus: the Our Father. page. Through these pages, we hope to clarify what the Church believes, deepen our appreciation for the liturgy and sacraments, address moral issues in the faith, and lastly, learn better how to speak with our Lord.